Host the ultimate summer BBQ on a private rooftop and terrace at our boutique hotel on Park Avenue. Enjoy perfectly grilled cuisine with the NYC skyline as your backdrop as you entertain under the stars. 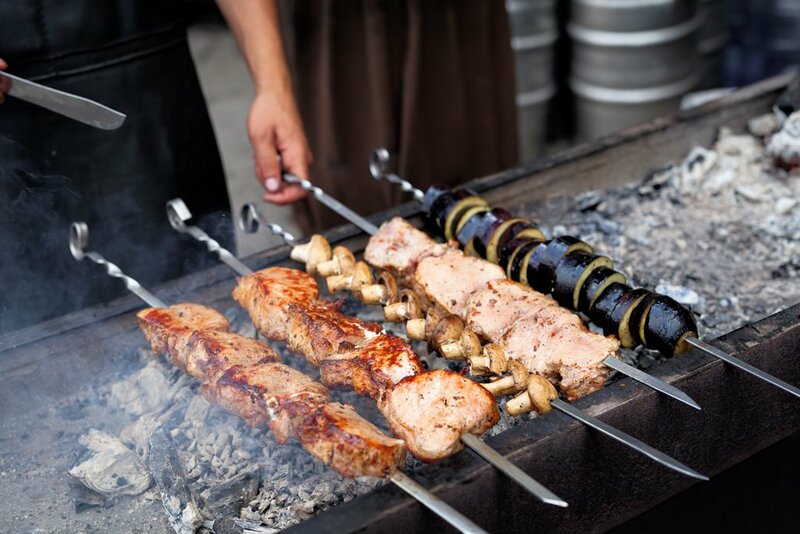 Our grill masters and chefs will barbecue your menu to perfection for any private event up to 150 guests. Our 1,400-square-foot penthouse features floor-to-ceiling glass doors that open onto terraces overlooking Park Avenue. The outdoor terraces offer a serene setting in a completely secluded space surrounded by the Empire State, MetLife, and the Chrysler buildings in the historic Murray Hill area of New York. Celebrate and enjoy the views. For more information on hosting a private rooftop event, please contact our Catering Sales Manager, Melissa Paston at 212-885-7017 or by email. Summer BBQ menus starting at $100 per person plus tax and service charges.